E-news - The Harry and Jeanette Weinberg Foundation, Inc. The Weinberg Foundation has a lot of news to share! We hope you will take a few minutes to read our latest e-news. Also, we invite you to like the Weinberg Foundation on Facebook and follow us on Twitter! 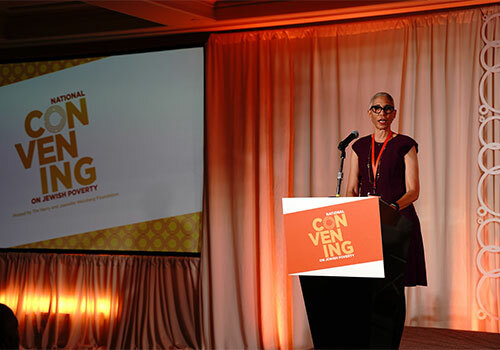 The Weinberg Foundation recently convened—for the first time in the Foundation’s 29-year history—a distinguished slate of national experts for a series of conversations focused on addressing Jewish poverty in the United States. More than 200 people from 19 states and Washington, DC, as well as Israel and Canada, attended, including direct services professionals, funders, Jewish Federation leaders, researchers, government leaders, media representatives, and faith leaders. All of the Foundation’s board members, representing its priority communities across the US, were present at the Convening in San Francisco, including Robert T. Kelly, Jr., Board Chair; Ambassador Fay Hartog-Levin (Ret. ), Trustee; Paula B. Pretlow, Trustee; and Gordon Berlin, Trustee, and President of MDRC—who led a keynote panel discussion as part of the program. The keynote panel discussed the challenges of poverty in general throughout the US, as well as the unique aspects of Jewish poverty. The panel (listed below) also assessed the current research on low-income Jewish households and identified potential next steps related to national Jewish poverty. In addition to the keynote panel, this event also included six interactive breakout sessions led by experts in their fields (who have each authored a concept paper) and three “bright spots” talks, which highlighted successful programs or ideas from Jewish communities across the country. 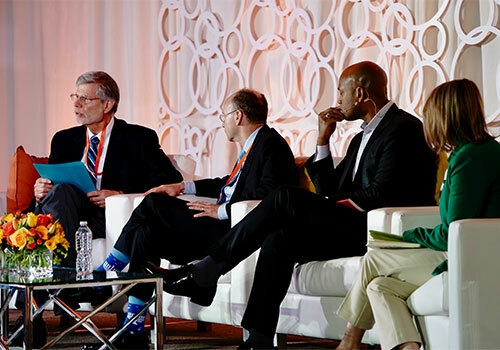 If you were unable to attend the Convening, we hope you will take a few moments to view recordings of the Keynote Panel discussion, as well as the Bright Spots presentations. This April, 16 Jewish camps across North America will be the first recipients of a groundbreaking grant to increase accessibility for campers and staff with disabilities through the Yashar Initiative. 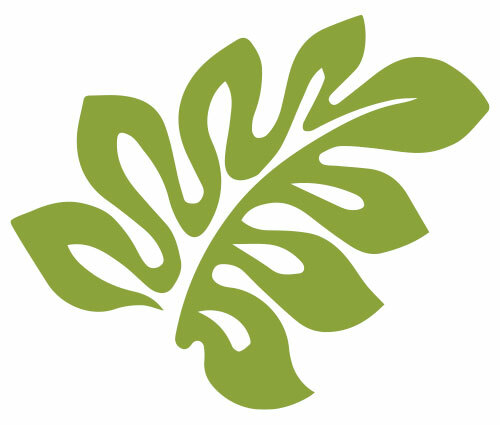 The Hebrew word “Yashar” translates to both “level” and “integrity,” and like its namesake, the Yashar Initiative is intended to improve accessibility for campers and staff with disabilities on multiple levels by providing funds for capital improvements, professional development, staff training, research, and evaluation. 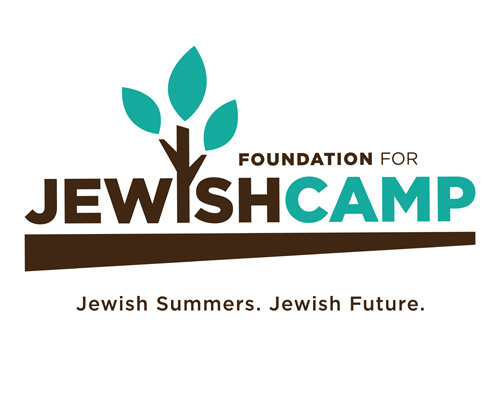 The $12 million Yashar Initiative, a program of Foundation for Jewish Camp (FJC) generously funded by The Harry and Jeanette Weinberg Foundation, will enable Jewish day and overnight camps to better welcome all members of the Jewish community. Each camp will receive money for both capital improvements, as well as a program grant totaling $2.5 million for the first round of the initiative. The camps anticipate finishing their improvements by the summer of 2020. In keeping with the goals of the initiative to promote a greater culture of inclusion, each grant recipient has committed to increasing their total campers with disabilities to at least five percent of the total camper population. The Yashar Initiative will accept grant applications again this fall, as well as in the fall of 2020. 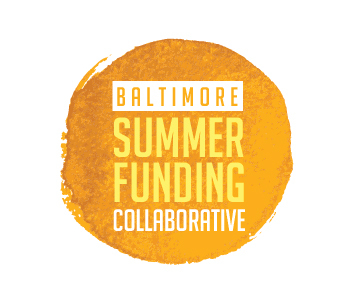 The Baltimore Summer Funding Collaborative (the Collaborative) has awarded $3.4 million in grants to support 88 high-quality summer programs for children and youth living in low-income families throughout Baltimore City. The Collaborative is a partnership between public, private, and nonprofit institutions that aims to create summer program options for families, including academic support to reduce summer learning loss, youth work opportunities, and a variety of enrichment activities. Collaborative members—some of Baltimore’s largest public, private and nonprofit institutions—include the Abell Foundation, the Annie E. Casey Foundation, Bloomberg Philanthropies, CareFirst BlueCross BlueShield, Clayton Baker Trust, Constellation, Family League of Baltimore, France-Merrick Foundation, The Harry and Jeanette Weinberg Foundation, The Hinkey-Benson Family Fund, Lockhart Vaughan Foundation, Joseph & Harvey Meyerhoff Family Charitable Funds, Under Armour, and United Way of Central Maryland as funding partners. While members of the Collaborative bring their own priorities to the table—including literacy, STEM (Science, Technology, Engineering, and Math), youth employment, environmental education, sports, and arts—they work together to make complementary funding decisions with the goal of supporting a diverse set of high-quality summer programs to reduce summer learning loss and ensure more youth have the chance to reach their full potential. This is the fifth year of summer youth funding provided by the Collaborative. Last summer, the Collaborative provided more than $3.1 million in funding to 84 organizations throughout Baltimore City and served more than 7,500 students. SummerREADS returns to Library Project schools! This summer, the Weinberg Foundation, in partnership with the Baltimore Elementary and Middle School Library Project, Baltimore City Public Schools, and Young Audiences, will host its sixth year of SummerREADS—a free, hands-on, drop-in program geared toward students, kindergarten through grade three (though all students are welcome to attend). Every Monday through Friday (8:30 a.m. to 3:00 p.m.) from July 1 through August 2, students will have the opportunity to check out books, earn prizes for reading, participate in STEM (Science, Technology, Engineering, and Math) activities, and interact with local enrichment partners at 11 Library Project schools. In addition, a healthy and well-balanced breakfast and lunch will be served daily. The goal of SummerREADS is to provide students with safe and welcoming spaces, in which they are able to continue developing their reading skills during the summer months. Research confirms that reading on grade level is an important indicator for future academic and life success. Students from kindergarten through grade three are especially susceptible to “Summer Slide”—learning loss over the summer months—and spend much of the following school year trying to recover lost reading skills. Aloha from our Hawaiʻi office! The Weinberg Foundation operates as one organization with two offices: its headquarters location of Baltimore, Maryland and Honolulu, Hawaiʻi. In addition to Hawaiʻi, the Foundation’s priority communities—where most of the Foundation’s grants are distributed—include Baltimore, Chicago, Israel, New York City, Northeastern Pennsylvania, San Francisco, and Rural Communities (primarily surrounding other priority communities). These areas represent personal ties to the life and legacy of Harry Weinberg, as well as cities where Weinberg Foundation trustees reside and provide leadership. The Foundation is also starting a separate e-news unique to Hawai‘i, with content tailored just for that community. Stable housing provides a foundation for individuals, children, and families to lead healthy and productive lives. Without housing, people are unable to focus on education, employment, health care, and meeting other basic needs. $1,600,000 capital grant over two years ($800,000 per year) to support the development of 48 units of affordable housing, including 34 units of supportive housing for LGBTQ older adults with disabilities. $650,000 capital grant to support the renovation of a skilled-nursing residence to integrate two new “housing clusters” that follow the Green House model—a more individualized, home-like living environment—and to support the construction of an adjacent day care center that will provide intergenerational after-school programming. $500,000 capital grant over two years ($250,000 per year) to support the development of an intergenerational affordable housing community for more than 70 foster youth, adoptive parents, and older adults. $200,000 capital grant to support the construction of 20 permanent supportive housing units and to increase interim housing availability in the Old Town neighborhood. $100,000 Small Grant over two years ($50,000 per year) to support the Epiphany Community Center, previously the Neighbor-to-Neighbor program, that provides eviction prevention and rapid re-housing programs. Good health is essential to help people move and remain out of poverty. Poor physical or mental health can prevent or complicate the pursuit of education, employment, and other opportunities for economic mobility. $750,000 capital grant to support the development of a new Latino Elder Care Center that will enable older adults to age in community through comprehensive supports and services. $200,000 program grant over two years ($100,000 per year) to support Warrior PATHH (Progressive and Alternative Training for Healing Heroes), an 18-month group program designed to cultivate and facilitate posttraumatic growth among combat veterans (and their families), as well as 18 months of follow-up support through a technology platform with regular phone and video conference calls. $200,000 program grant over two years ($100,000 per year) to support a comprehensive program serving older adults, primarily Holocaust survivors, with the goal of helping them remain independent and maintain a high quality of life. $200,000 capital grant to support the renovation of this organization’s facility in order to increase energy efficiency, soundproof suites, and provide more comfortable care for families during their stay. $150,000 program grant over two years ($100,000/$50,000) to support a program that connects struggling military members, veterans, and family members with peer navigators who provide case management services based on their needs. $130,000 program grant over two years ($65,000 per year) to support education services for Latino caregivers of relatives diagnosed with Alzheimer’s disease. $80,000 program grant to support this organization’s Elder Law Project that provides older adults with comprehensive case management, access to benefits, and legal services. $65,000 capital grant to support upgrades for this organization’s transportation network, including truck replacements and new routing software. Employment provides the best opportunity for personal success and financial security. Quality training programs that lead to employment enable individuals and families to achieve economic stability. $500,000 program grant over two years ($250,000 per year) to support the Weinberg Career Academy that serves adults with developmental disabilities by using simulated work environments and partnerships with key industry leaders to create an innovative, robust business model as a viable alternative to sheltered workshops. $200,000 program grant to support a program that connects participants with their next job, as well as an education pathway to develop the skills and credentials necessary for a long-term career. $180,000 capital grant to support this organization’s butcher shop and training center that provides formerly incarcerated individuals with training in the food service and hospitality industries while providing a support network necessary for successful re-entry. Education can help break the cycle of poverty. Providing at-risk children and youth with academic opportunities helps prepare them for a stable and productive future. The Foundation is dedicated to supporting organizations that provide or supplement a high-quality education from kindergarten through high school. The Weinberg Foundation recognizes that certain service providers operate multiple programs that meet a range of basic human needs and span many of the Foundation’s funding priorities. Organizations that provide services bridging the areas of Housing, Health, Jobs, and Education may be eligible for a Community Services grant. The Foundation is also engaged in select initiatives addressing Jewish poverty on a national scale, as well as strengthening the leadership of organizations that serve the Jewish community. © 2019 The Harry & Jeanette Weinberg Foundation.